Shortly after Rosemary Marchetto’s Shih Tzu was dropped at a chain store groomer she was informed that her dog had died. She feels the groomer was negligent and that the profession needs regulation. Bijou’s Bill, named after Rosemary’s dog, is being spearheaded by New Jersey Senator Valerie Huttle. The law would require pet groomers to be licensed, at least 18 years old, and tested by the State Board of Veterinary Examiners. Rosemary joins us this week to tell ... See More her story. Animal Radio’s Joey Villani is also on the forefront of this groundbreaking legislation and he says there is some push-back from many groomers. Do You Have The Right Car Seat For Your Fur-baby? A recent Harris Poll indicates that many dog owners don’t restrain their animals while driving with them. Many admit to allowing their dog to roam freely about the car, sit on their lap or stick their head out the window. Award-winning car columnist Tim Spell tells us the dangers behind unrestrained pets in the car and how to find the right restraining system and use it properly. Vet24seven has launched MyPetDoc, an Alexa skill that is the world’s first artificial intelligence “SmartVet.” Now, pet parents with a pet health question can talk with MyPetDoc on Alexa and get veterinarian-backed answers to their concerns. Once MyPetDoc has answered the pet parents’ questions, they can then choose to speak immediately with a licensed veterinarian for more guidance and advice for a $25 charge. This doesn’t sit well with Animal Radio’s Dr. Debbie. The federal stalking law is getting an update to include threats made against a pets and emotional support animals. Senator Gary Peters of Michigan managed to get his proposal, which adds threats and violence against a person’s pets to the stalking statute, included in this year’s Farm Bill. Under the law, threatening or harming a pet as a way to harass or intimidate a victim is punishable by up to five years in prison. The Better Business Bureau’s Scam Tracker has seen an increase in people losing money to pet scams. They’re not surprised as it’s typical around the holidays. 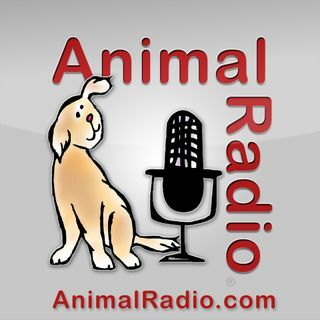 Animal Radio’s Lori Brooks exposes the scams and has tips to avoid being scammed.